v Polished Chrome Rectangular Case with Curved Glass. 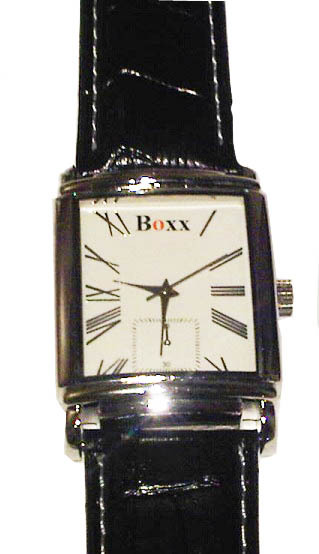 v White Dial with Silver UP Roman Index. Decorative Second Dial. v Black Croc Grain PU Strap.